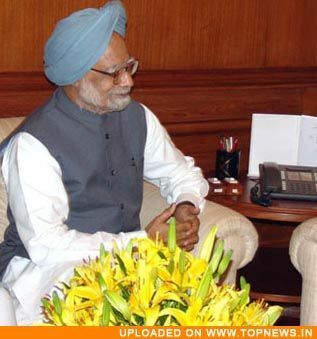 Onboard Air India One, Jan 16: Prime Minister Dr. Manmohan Singh has said that the world will respect an India that is strong and which is not meek, and in this regard, welcomed the revision of the Sino-India trade target from 40 billion U. S. dollars to 60 billion dollars to be achieved by 2010. Stating that engaging with China in all fields was a “historic necessity”, Dr. Singh said that he was impressed with the “wisdom and knowledge of the Chinese leadership, and added that China is hugely dependent on trade for its survival in a competitive global environment. As far as India’s trade deficit with China was concerned, the Prime Minister said that he had told Indian businessmen that this deficit has to be corrected, and could only be corrected by building up the strength of the Indian industry. He further said that there is elements in tax policy, in public policy that hurt the competitiveness of the Indian industry, and committed his government to addressing those concerns, but beyond that, he added that Indian industry must think big.